Everyone who has grown up a Los Angeles Rams fan knows who Eric Dickerson is, as he was one of the best running backs to ever play in the NFL. 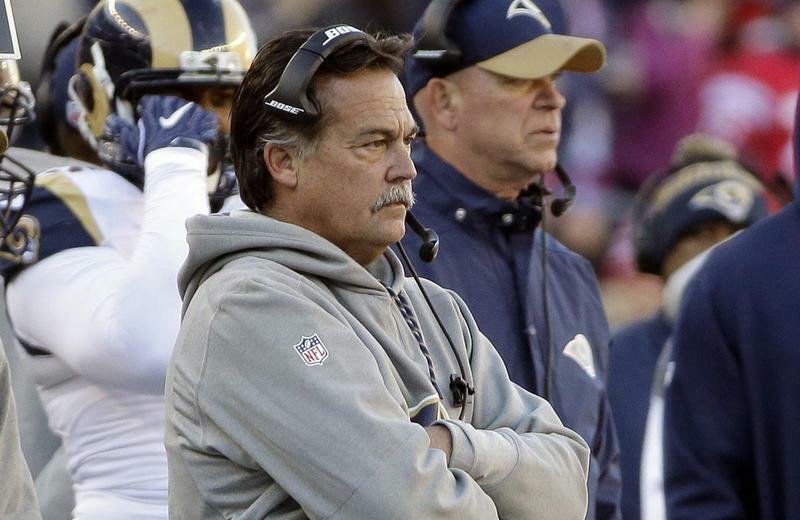 Now he is feuding with current Rams head coach, Jeff Fisher. He does not agree with some of the decisions coach Fisher and other members of his staff have made recently regarding the Rams this season. Dickerson has been voicing his opinion in public and on talk shows this whole season, about how he does not agree with the direction of the LA Rams. Since he started making comments about the team, he has been banned from the Rams sideline by coach Fisher. The Rams did everything they could to win over the Los Angeles market, in an effort to reverse two decades of free agent fan hood and unite Southern California behind their new NFL team. 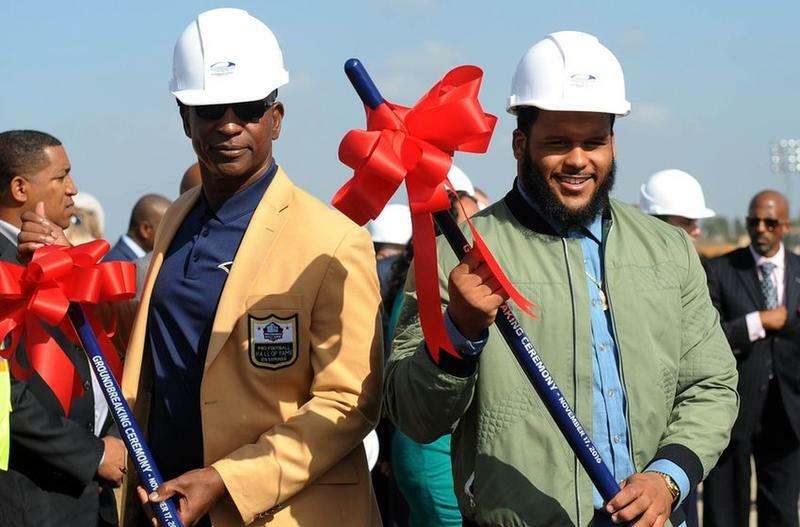 By all accounts, they were making progress: a record 90,000 fans showed up for the team's first preseason game, and the excitement for the season opener had the town buzzing. Since that, the Rams have been struggling this season after a 3-1 start to the season. Many fans around the NFL have questioned why they did not start their rookie quarterback, Jared Goff, who was the number one overall pick in last spring's draft, especially after the sub par play of Casey Keenum that has been going on week in and week out. Why not let your first pick play and get game experience that he would not be able to get anywhere else? Well this was the question a lot of former players were getting asked every time the Rams were being brought up and the same thing happened to Dickerson. Eric Dickerson was once the face of the LA Rams and was even the face of the Rams still when they moved to St Louis 20 years ago. So when the Rams moved back to LA, Dickerson was on a lot of local sports talk shows voicing his opinion of the team. Dickerson does a two hour radio show on an L.A. sports talk station on Mondays, and this week, the Hall of Fame running back revealed that roughly two weeks ago, Rams head coach Jeff Fisher called him and said that if Dickerson continued to be critical of the team on his show and in the media, he could stop expecting favors, like sideline passes, at the L.A. Coliseum. Dickerson claims Fisher told him that Rams players and coaches were uncomfortable with him being on the sidelines. This is what started the feud between the Hall Of Fame running back and the Rams head coach. Since then, the two have both been in the news and they both have a different side of the story to tell. Usually teams want their former stars around their team as much as possible, as it seems to motivate the players. It is not a good look for the struggling head coach to ban the former face of the franchise from being on the sideline and in the facility. Maybe if Coach Fisher was more focused on his teams actual play, they would be better than they are and over 500 right now. Nobody is sure what was really said between the former star and the head coach, but Rams fans everywhere are not happy at all. Now more than ever, Coach Fisher is on the hot seat, so if the Rams do not win some games here at the end of the season, he will most likely be kicked out of LA for good.